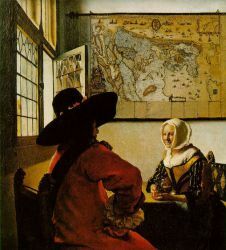 Johannes Vermeer was a Dutch Baroque painter who specialized in exquisite, domestic interior scenes of middle class life. 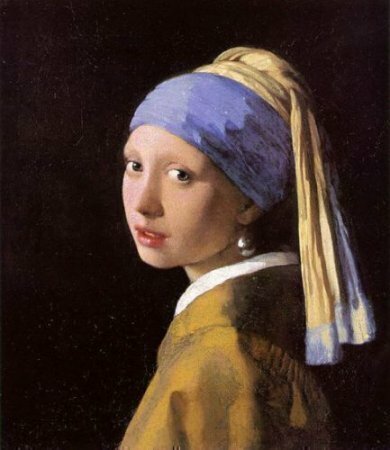 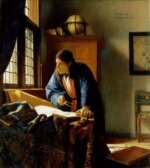 Vermeer was a moderately successful provincial genre painter in his lifetime. 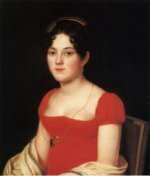 He seems never to have been particularly wealthy, leaving his wife and children in debt at his death, perhaps because he produced relatively few paintings. Vermeer worked slowly and with great care, using bright colours, sometimes expensive pigments, with a preference for cornflower blue and yellow. 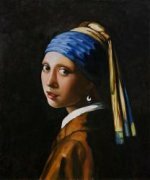 He is particularly renowned for his masterly treatment and use of light in his work.